In a match were both the sides were reduced to 10 men, Bengaluru FC emerge winners to close the gap at the top of the table. 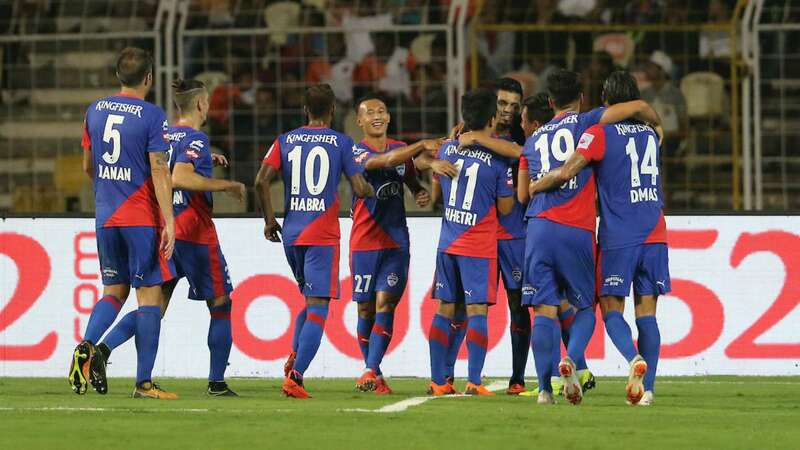 Bengaluru FC beat FC Goa 2-1 in a dramatic clash on Thrusday at the Jawaharlal Nehru Stadium, Goa. Rahul Bheke (34') scored the opening goal of the match to give the visitors the lead in the first half. Goa came back with Brandon's strike (72'). Sunil Chhetri scored the winner with a header to confirm full points for Bengaluru.